When you take your Dodge or RAM in for maintenance at Melloy Dodge, you ensure that your vehicle runs good and maintains its resale value - if you regularly perform scheduled maintenance on time. It also keeps your vehicle in warranty – missing maintenance could void the warranty. 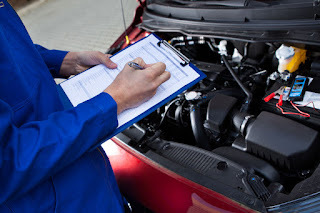 This practice also helps to find upcoming issues, since the techs also check things such as belts, hoses, brakes and suspension while your vehicle is in the air. The maintenance schedule the manufacturer creates is for the minimum recommended maintenance. If you are able to keep up a more stringent maintenance schedule, you'll have a better-maintained vehicle. In many cases, the manufacturer publishes a second schedule for those who border on abusing their vehicles. This schedule should be followed by those who tow a lot, regularly drive in high mountains, regularly drive on gravel or dirt roads or do mostly highway driving. Oil and filter change at the recommended mileage. In most cases, it is anywhere from 5,000 to 7,500 miles, depending on the type of driving you do and the type of oil that is recommended. Cooling system maintenance – you should never leave just plain water in the radiator, and since the chemical properties of antifreeze do decrease over time, always have the cooling system flushed at the recommended time. Always change the plugs and have the rest of the ignition system checked at the recommended times. The air filter helps the engine breathe and keeps a lot of dust and debris out of the engine. You may have to change the air filter more often if you drive on dirt roads. Never solely rely on the tire pressure sensors. When you bring your Dodge in for maintenance, check the tire condition and the air pressure in the tires. Regularly rotate the tires. Any time a service technician has your vehicle in the air, have him or her check the brake pads, rotors and calipers. They should also check the brake lines for leaks or to see if they are starting to rot. Change the transmission fluid at the recommended time. If you drive in high mountains or tow frequently, you should follow the heavy use maintenance schedule for transmission fluid changes. Call the service department at Melloy Dodge at 888-473-2491, to schedule a maintenance appointment. If you are not sure what your maintenance schedule should be, our service techs will be able to look it up for you.